Happy Birthday to original Seattle Sonic Henry Akin, who turned 70 years young July 31st. The following is our profile of Akin. The abundance of oddball characters in the history of the Seattle Sonics often makes one wonder if the team sprung forth from Kurt Vonnegut’s brain, a nonsensical torrent of thoughts emerging after a night of Wild Turkey and perogies. Henry Akin, in his own small way, belongs in that group. Not because he was outspoken like Haywood or Payton. Or because of off-the-court shenanigans, a la Kemp, or poetry writing like Tom Meschery. No, Henry Akin finds his small niche in Sonic history as the only player I’ve come across who abandoned a successful basketball career to work for an elevator company. Akin, a 6’10” center from Morehead State who spent a year in New York before coming to Seattle in the Sonics’ inaugural season, played sparingly in the green and gold before moving on to the Kentucky Colonels and the ABA. His entire professional basketball career amounted to merely 308 points, a spindly total Dale Ellis might polish off in a week. Akin first told his story to Dan Raley of the PI back in 2004, and then in even greater detail in a wonderful story penned by Tony Dondero of The Enterprise in 2008, explaining how he left Morehead State after his junior year … and began installing elevators for a living. And it wasn’t as if Akin was a bum, either; he was named to the All-Conference team twice, and averaged nearly 20 points and 12 boards a game. But because of love (of a woman, that is, not elevators), Akin tried to live the old-fashioned life, before realizing that playing basketball might be a more exciting path to make good money than elevators, and when the New York Knicks expressed interest, he ventured to Manhattan for a workout (complete with a limousine ride and $200 in pocket money from Red Holzman), eventually finding himself picked with the first selection of the second round of the 1966 draft. Akin spent one year in New York as a reserve behind greats like Reed, Bellamy, and Van Arsdale, even getting into two playoff games and scoring three points against the Celtics in a first-round loss to Boston. 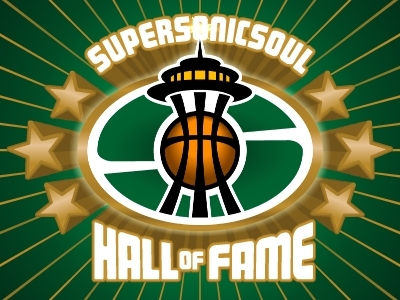 That off-season, the Sonics decided that Akin’s potential as a big man off the bench merited their attention, and they picked him in the expansion draft, ending his New York sojourn and bringing him to the Pacific Northwest for what would turn out to be nearly the rest of his life. Interestingly, when Akin was notified by Sonics’ President Don Richman of his selection, Richman told him he was with the “Washington” Sonics. Akin, thinking the team was in DC, thought, “Hey, that’s only a few hours away,” before Richman told him that he meant Seattle, Washington. Unfortunately, on his way to Seattle Akin decided to play some pickup basketball in Detroit, wrecked his knee, and saw his career over before it ever really had a chance to begin. "[Coach Al Bianchi] comes on down and he grabs ahold of me, and he said, 'Now, when you get in the game, I want you to foul Wilt [Chamberlain] every time he gets the ball," said Akin, 63, who was in his second and final year in the NBA. Chamberlain got the ball, crouched low and made a move to the basket. "I jump on his back and when he goes up, we both fall to the floor," Akin said. "I had known Wilt, and he said, 'Harry, what in the hell are you doing?' I looked at him and said, 'Al told me to foul you every time you got the ball.' Wilt didn't say a word. He just smiled." Akin would foul out of the game in 11 minutes. After his career ended in Kentucky, Akin returned to Seattle and within two weeks landed a gig as a scout for the team. He would spend more than five years in the position, with the highlight being his recommendation that the Sonics take a young man from Iowa named Fred Brown, before eventually (and ironically) settling into a position with Boeing, the same company from whom the team’s name had sprung 20 years before. When his daughter, Shannon, joined the basketball staff at Shorecrest Akin lent a hand, helping the girls out with basketball advice, naturally, but also with advice for life’s problems as well. (Unfortunately, the story about why his daughter isn’t still coaching isn’t quite as rosy). So there you have it. Elevator installer, tobacco chewer, scout, high school girls basketball coach, life counselor, member of the first Seattle Sonics’ team … that’s Henry Akin. 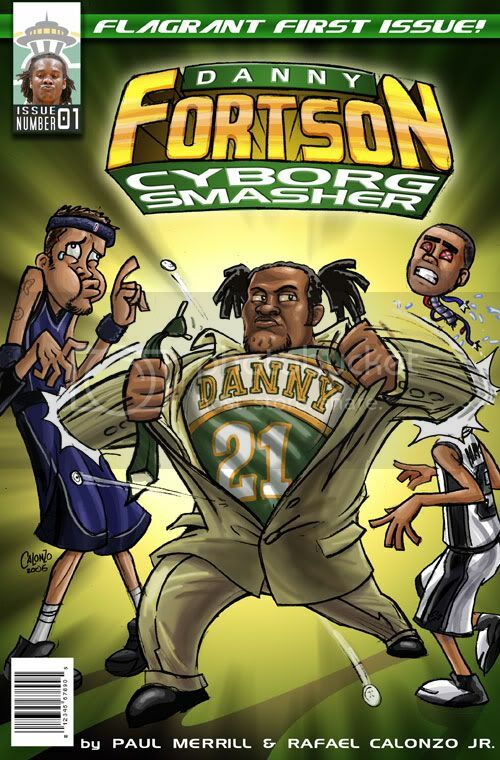 The only free agent he ever signed was Danny Fortson and Danny Fortson used him like a dang old watch. Yeah, [Bennett] gave the city $45 million … the city probably would have settled for $35, who knows. All they wanted was money and that's what Bennett threw out in front of them.